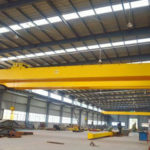 20 ton overhead crane is a strong and durable lifting equipment used in machine shops, warehouses, fabricating plants, steel mills and other industrial plants for efficient and safe lifting operations. 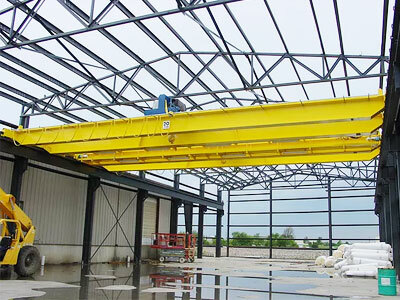 The 20t crane more often comes in double girder construction since it provides better working efficiency and lifting height than the single girder overhead crane. With our professional technical team, we will design the perfect lifting solutions according to your specific conditions. 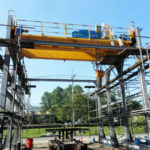 Which Type of 20 Ton Overhead Bridge Crane Is Right for You? 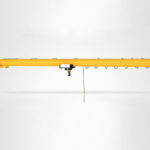 Single girder overhead crane – it is a cost-effective option for infrequent lifting applications. QD hook double girder overhead crane – it is designed for different lifting purposes, widely used in normal working environments. Grab bucket overhead crane – equipment with grab bucket, it is perfect for handling bulk materials. 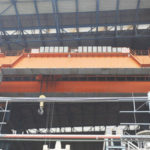 Magnetic overhead crane – it is fitted with electromagnetic chuck to lift and move magnetic black metal in steel plants. Casting bridge crane – it is specially designed to lift and transfer hot molten metal in high-heat and dusty environments. Explosion proof crane – designed with explosion-proof features, it is ideal for lifting in explosive and flammable atmosphere. 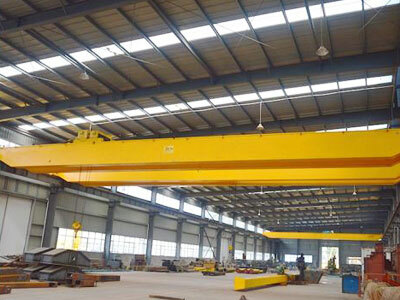 European standard overhead crane – it adopts the latest technology and design for better performance and longer life. If you are looking for a 20 ton overhead crane, please feel free to contact us and discuss your lifting requirements with our experts. Reasonable structure and sturdy construction. Easy operation and simple installation. High quality components and low cost. 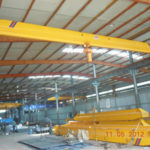 We provide both standard and customized 20 ton overhead cranes to suit any and every lifting requirement. 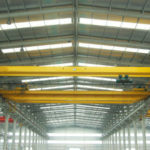 When it comes to the overhead crane design, it involves a number of essential parameters for that crane, such as lifting height and speed, span, runway height, runway length and control mode. In addition, the specific conditions also need to mention like working environments(heat, dust, safety hazards, etc). Safety devices: overload limiter, anti-collision device, limit switches, etc. 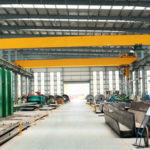 The cost of 20 ton overhead crane will vary widely according to the type of crane you select. 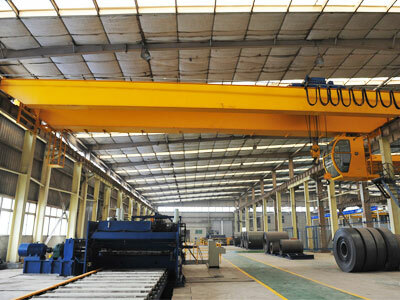 The overhead crane manufactured by our factory features reasonable cost and excellent durability, which will benefit you with maximum efficiency, cost effectiveness and productivity. 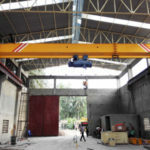 At Dafang company, we also provide dependable services, inspections and maintenance for all types of cranes and hoists. If you would like to receive an affordable 20 ton overhead crane price, contact us now and specify a crane for your plants.